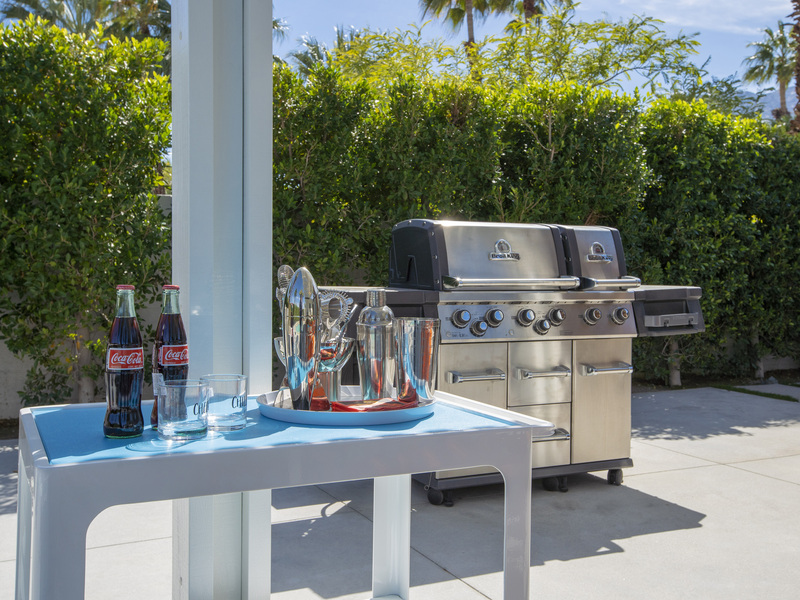 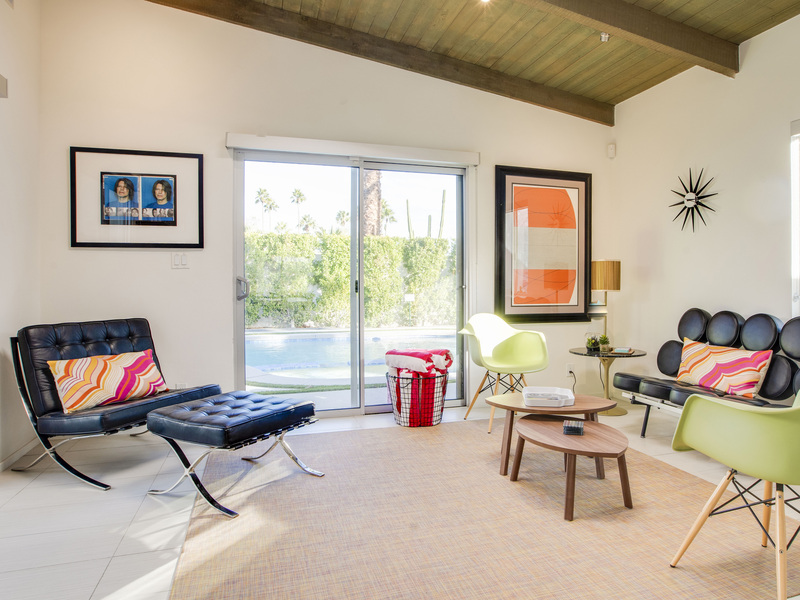 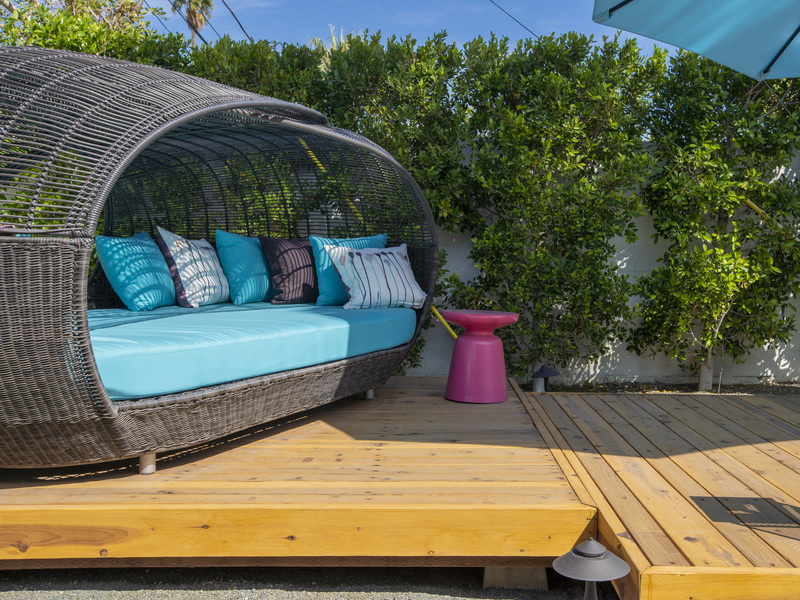 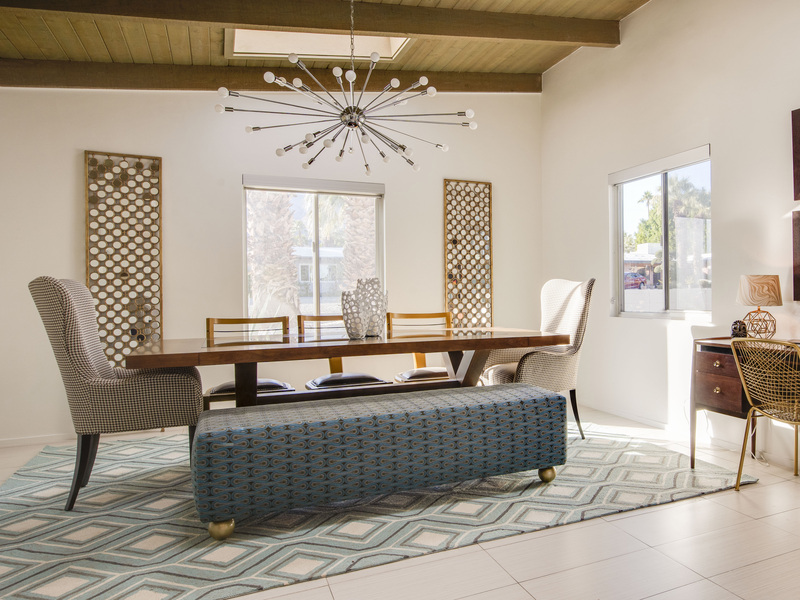 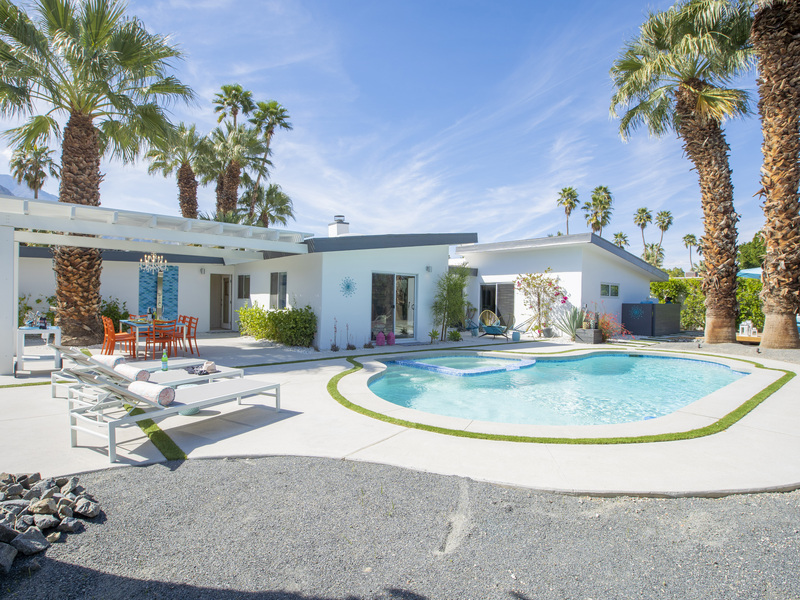 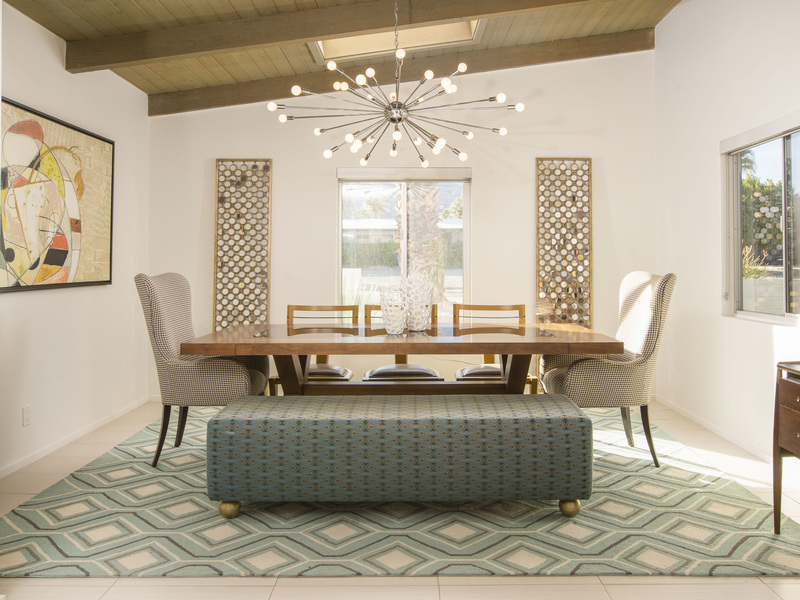 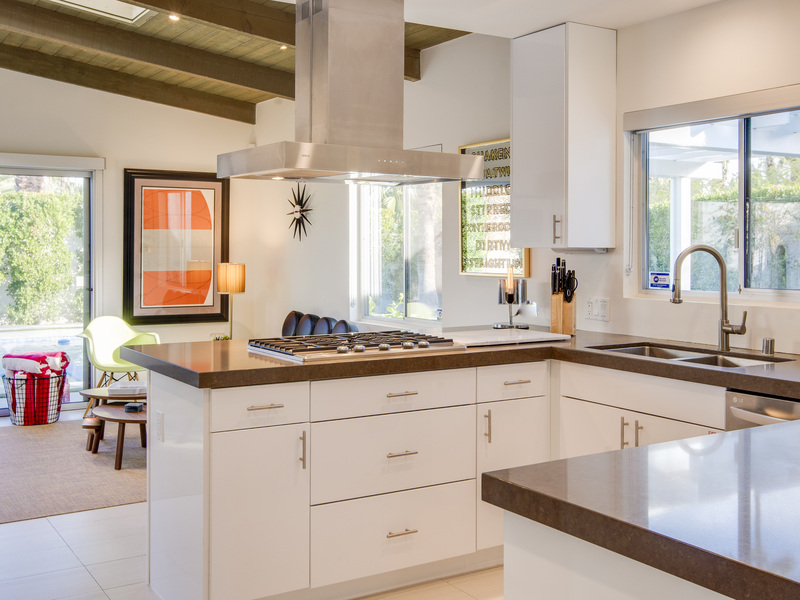 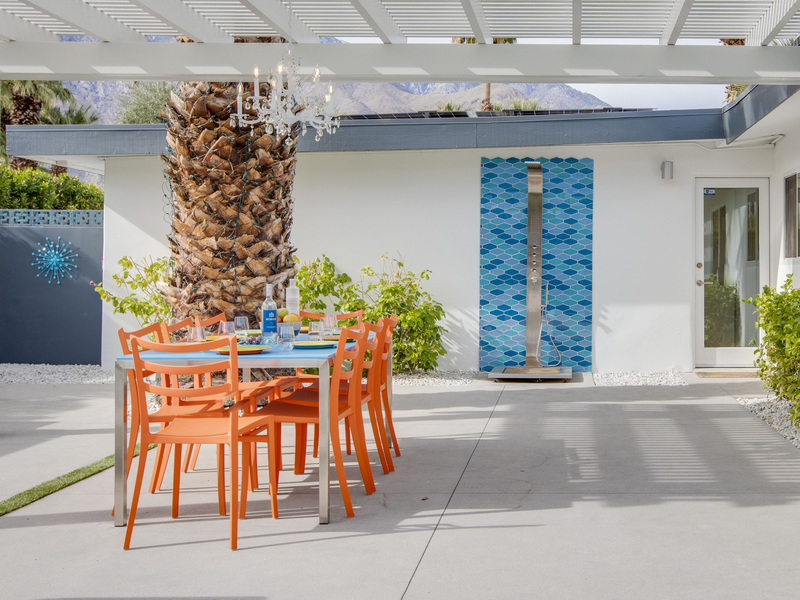 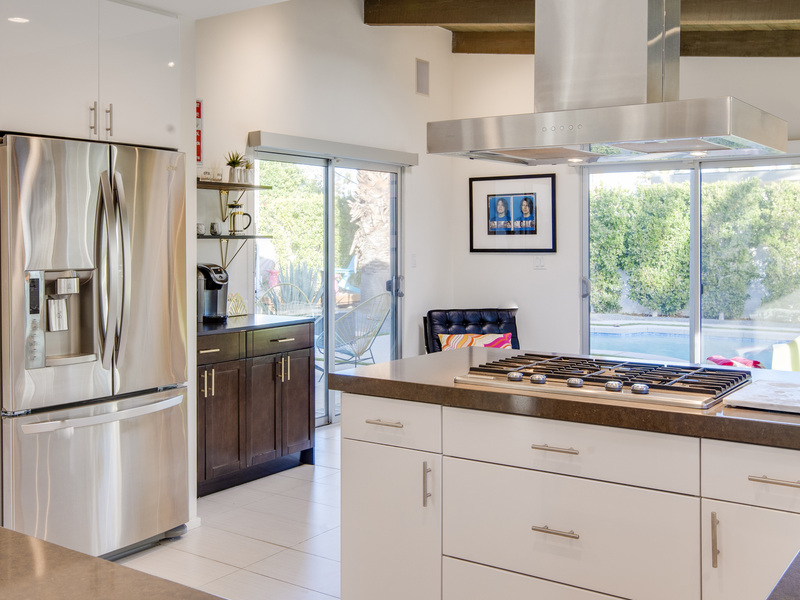 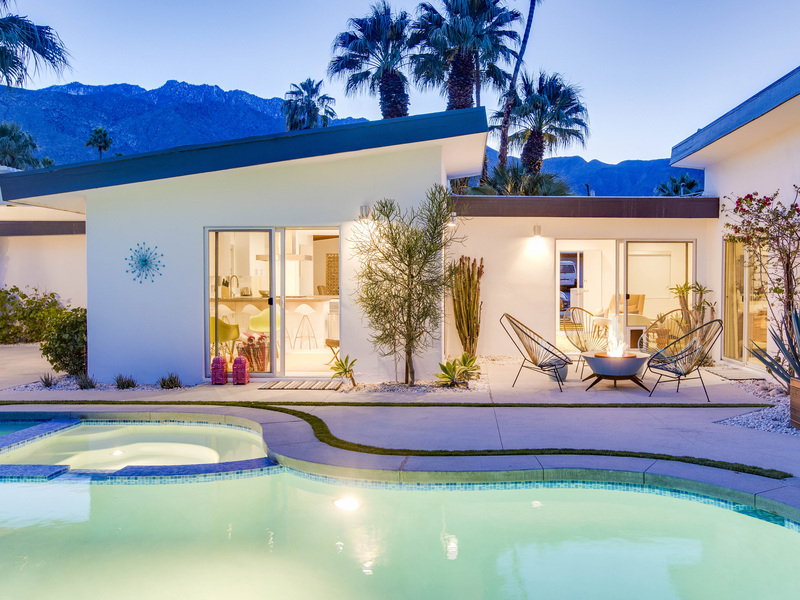 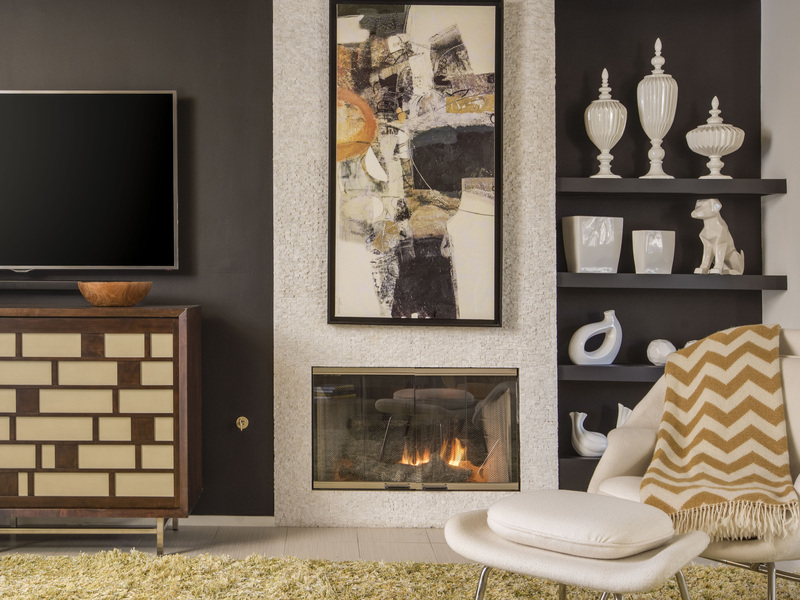 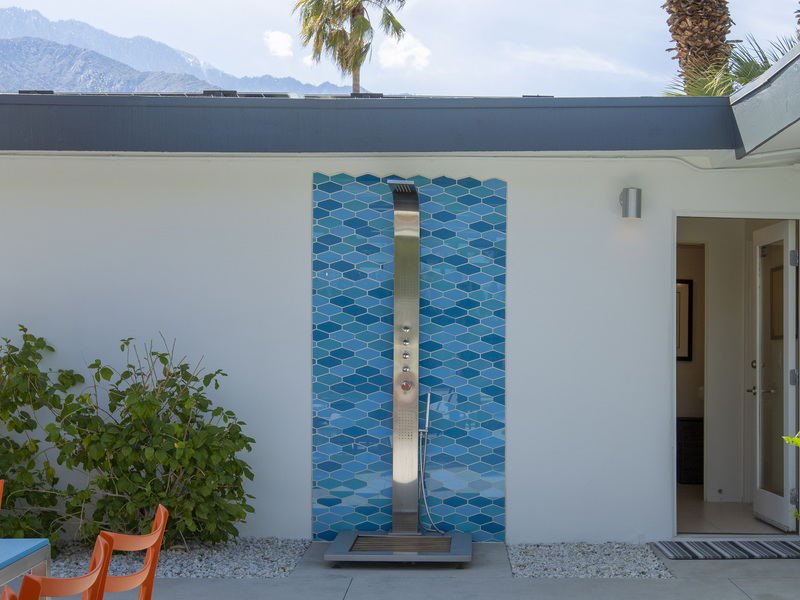 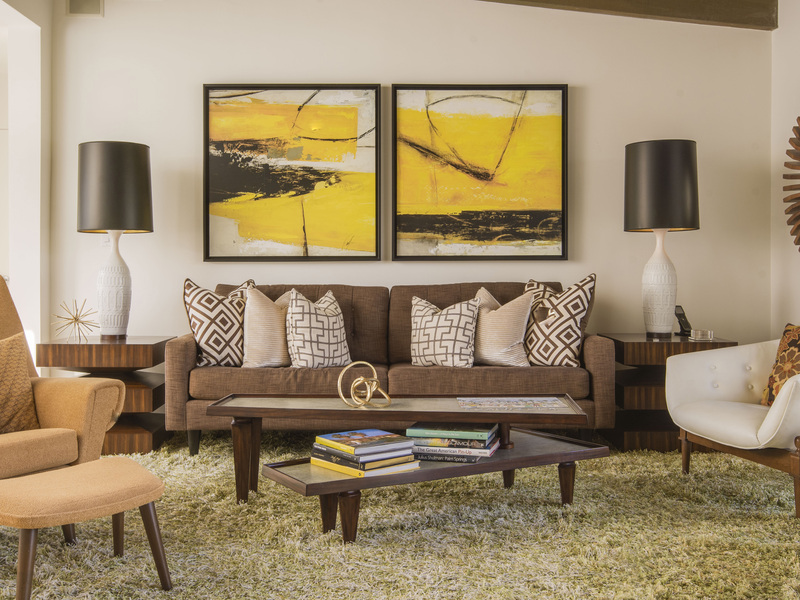 Fabulous remodeled vacation home where it's all about relaxing in the Palm Springs sunshine! 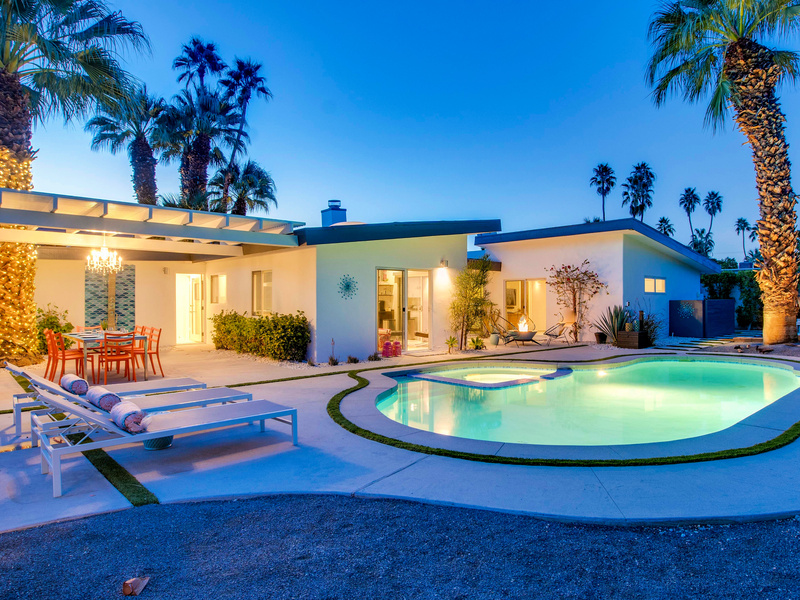 Great walk-to-town location less than a mile from the world famous Palm Canyon Drive. 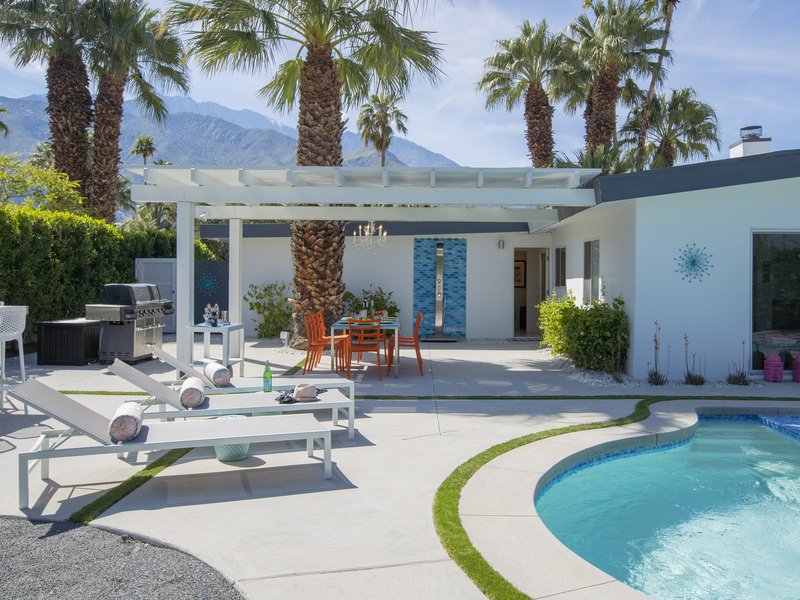 Swanky resort-style yard with all the amenities --- saltwater pool, integrated spa, two fire features, covered alfresco dining pavilion, outdoor shower, a poolside napping cabana and more. 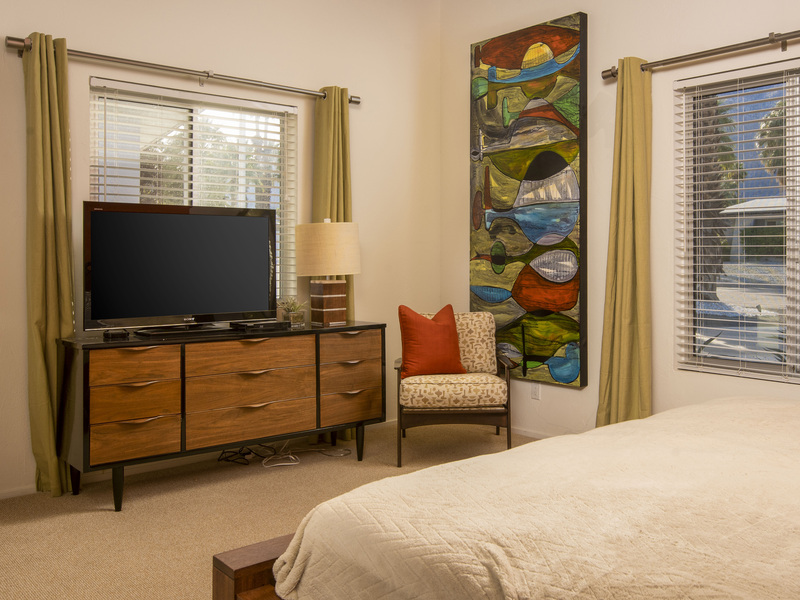 Totally remodeled and impeccably maintained - everything has been updated for the way we live today. 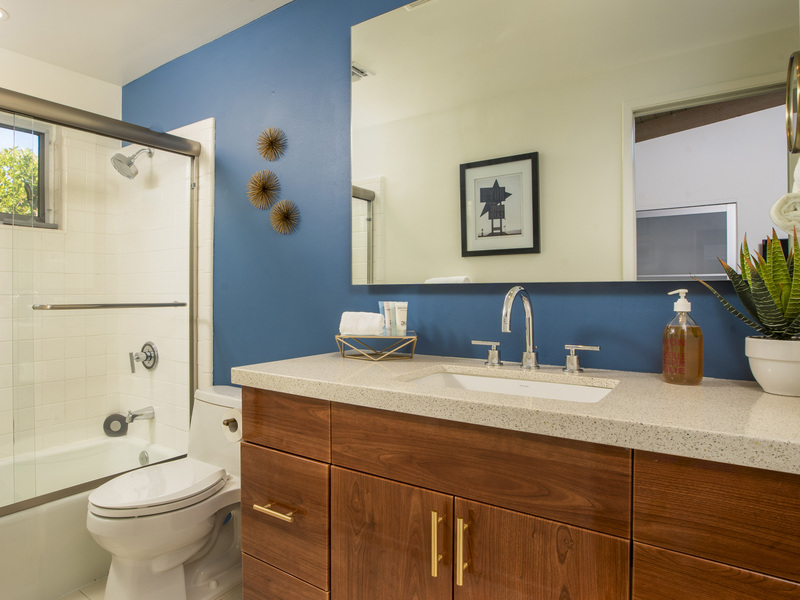 New bathrooms, new kitchen, completely updated pool yard, upgraded heating and cooling systems, gas fireplace, high speed internet and 5 flatscreen TVs. 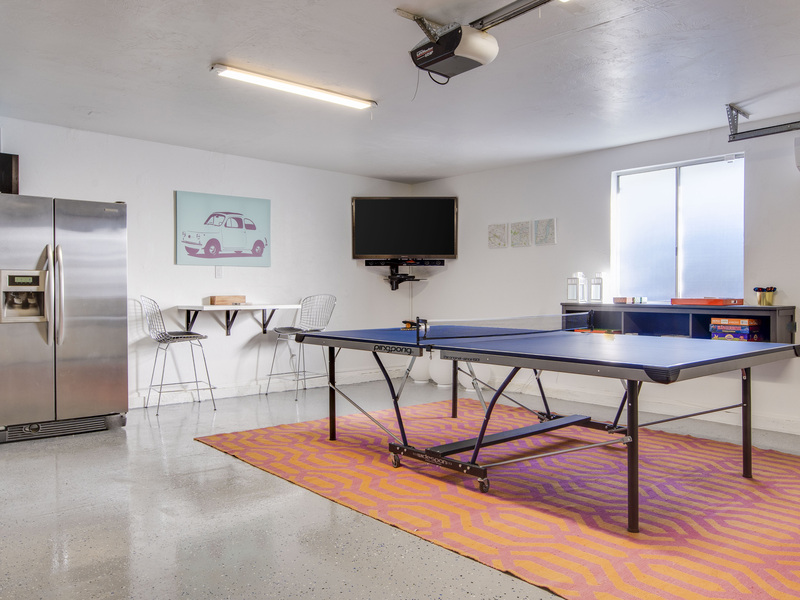 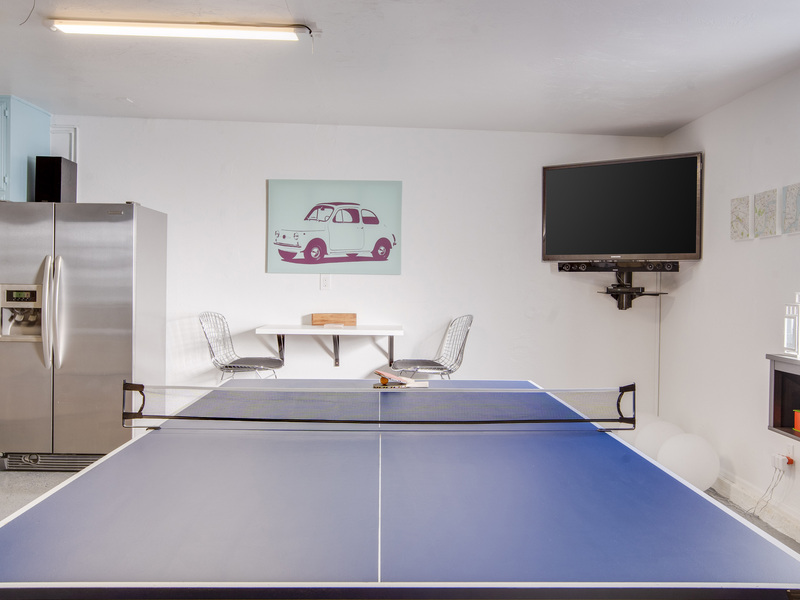 It even has a game/rec room with ping pong! 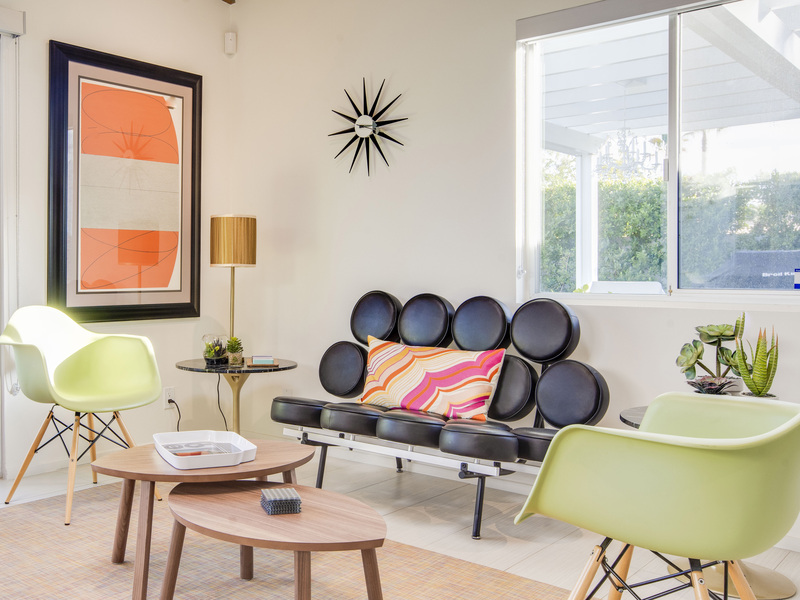 Truly a multi-generational space - something here for everyone. 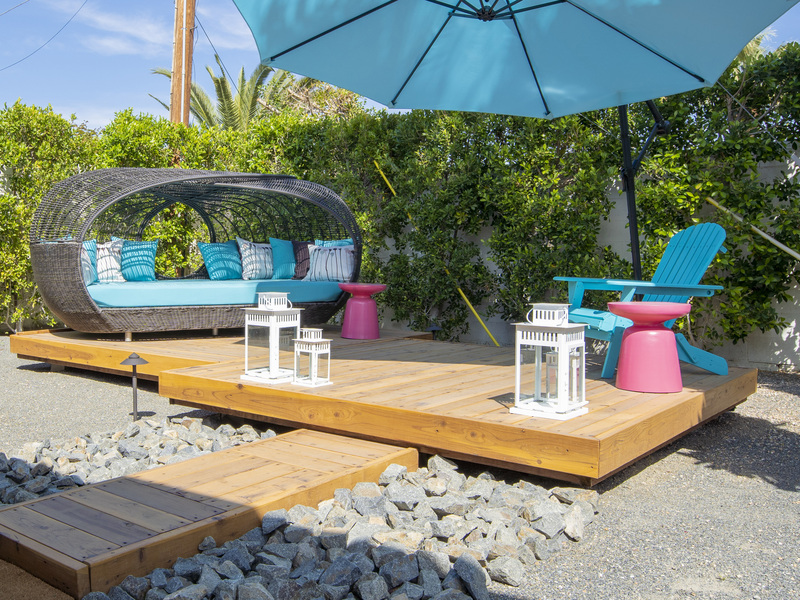 The property owners just recently completed their remodel of the back yard. 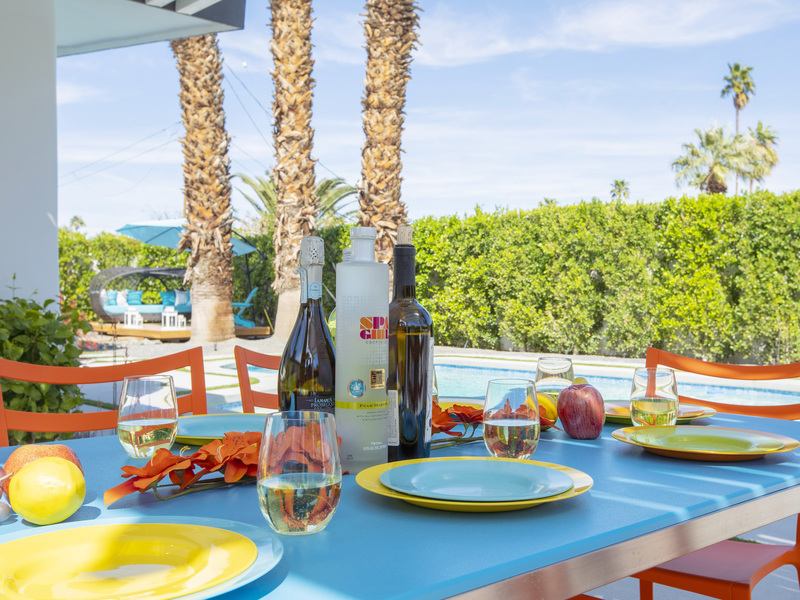 The result is a very private, completely walled and gated property that feels like you are staying in your own mini-resort. 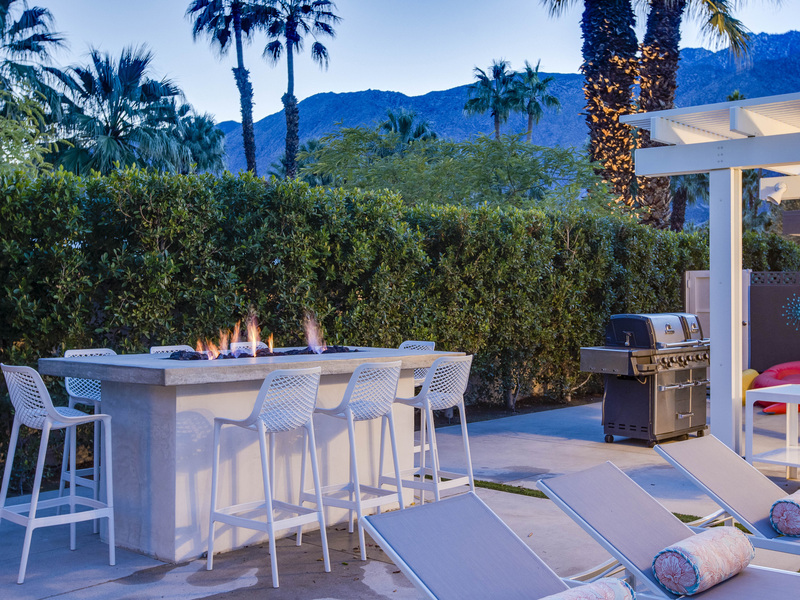 It's all here in your own private oasis - the perfect place for living the good life. 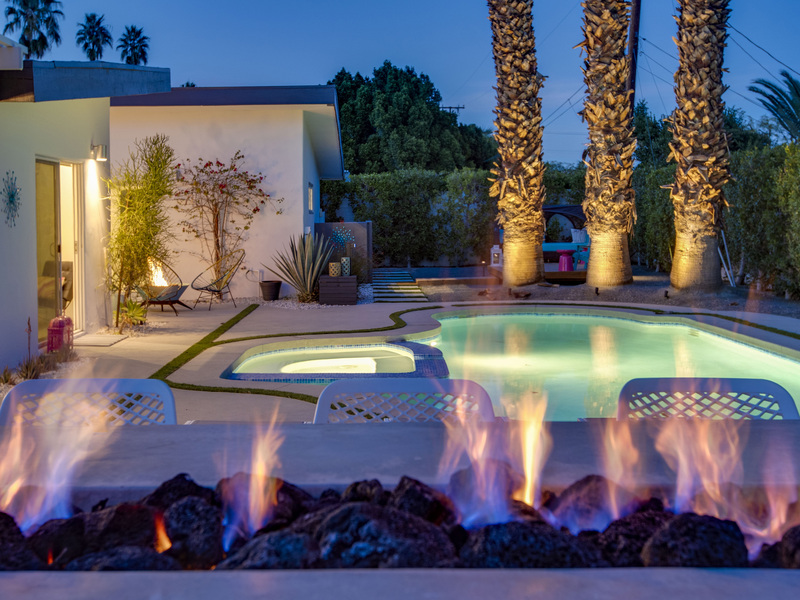 The freeform saltwater pool with integrated spa is surrounded by a bar height fire table with spectacular mountain views, plus an additional fire pit lounge area, a huge covered outdoor dining pavilion, outdoor shower, and even a napping cabana! 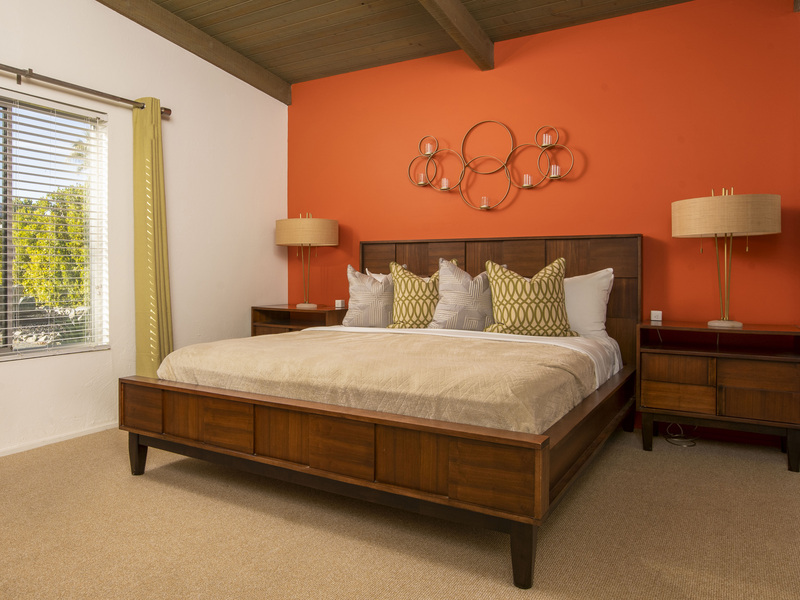 This is the type of property visitors return to year after year. 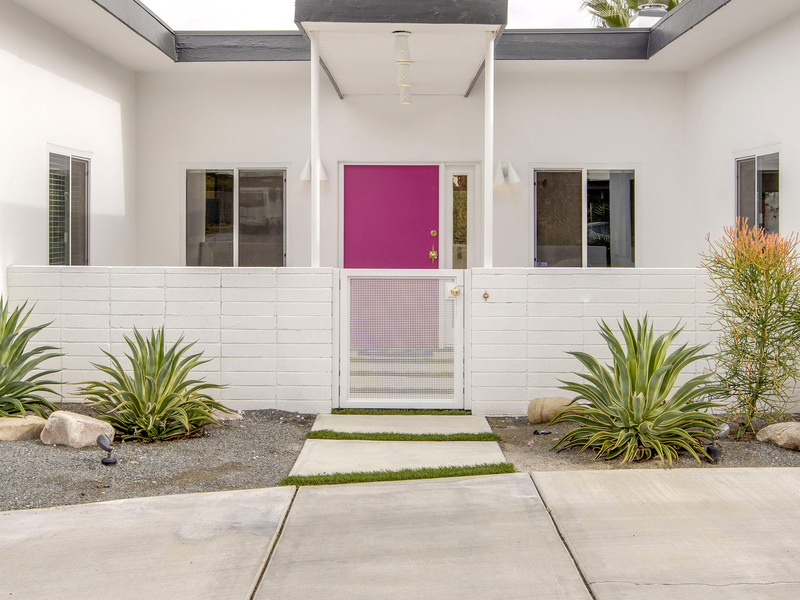 Beyond the whimsical pink front door you'll find a vacation paradise that has been perfectly space planned for spending time with your entire group - or stealing off for some alone time to curl up with a good book. 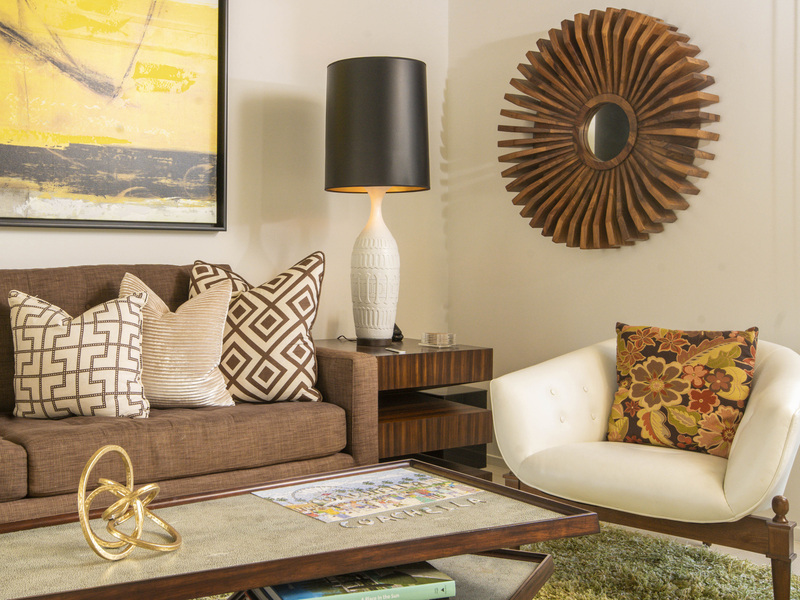 Hi-style designer chic meets the comfort and laid back vibe of a family home. 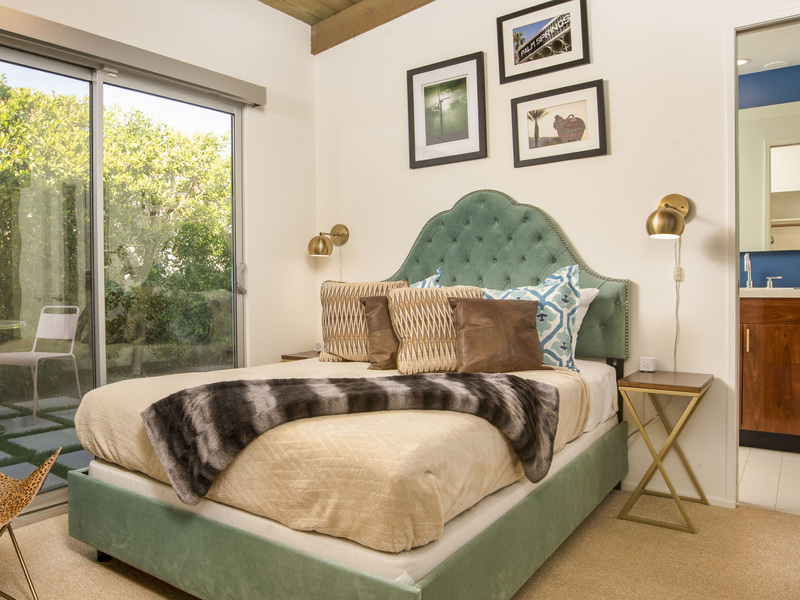 The entire property is very livable - the type of place where you can put your feet up, relax and not worry about a thing. 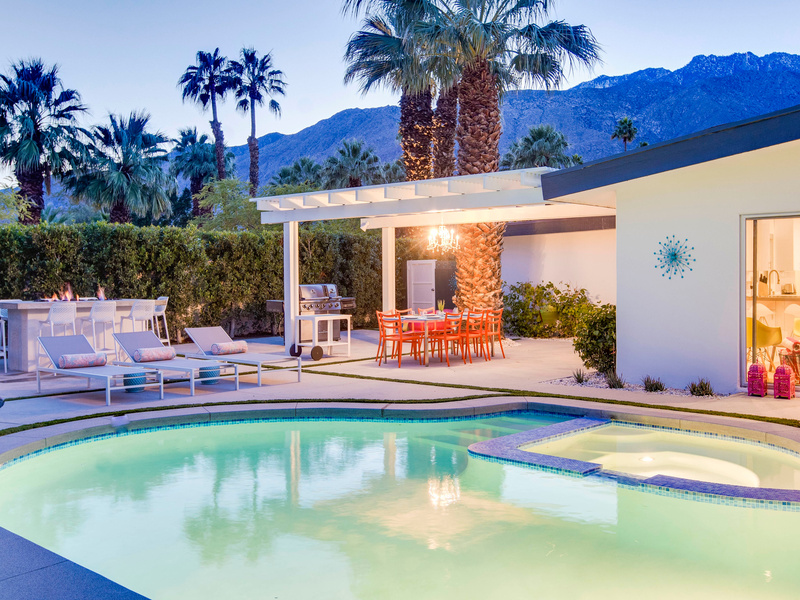 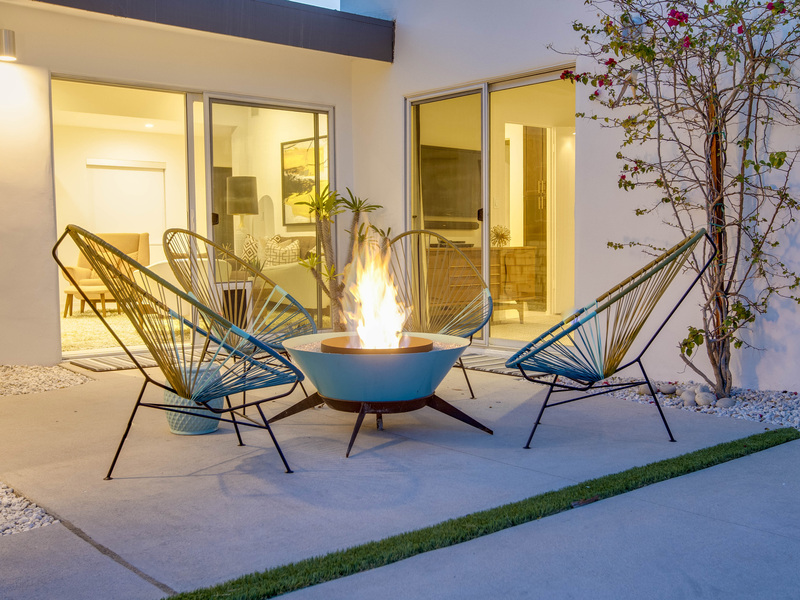 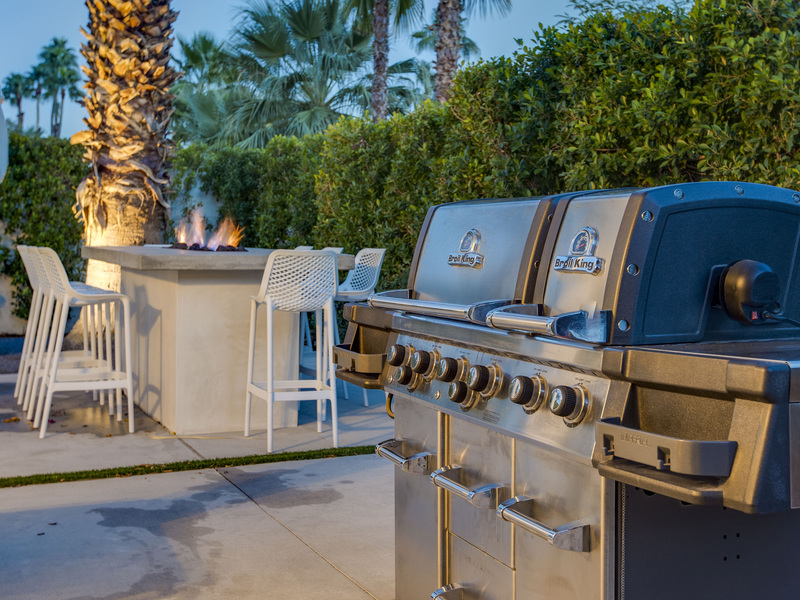 The owners have put a lot of themselves into creating the perfect vacation paradise and are thrilled to be able to share it with people who love Palm Springs as much as they do! 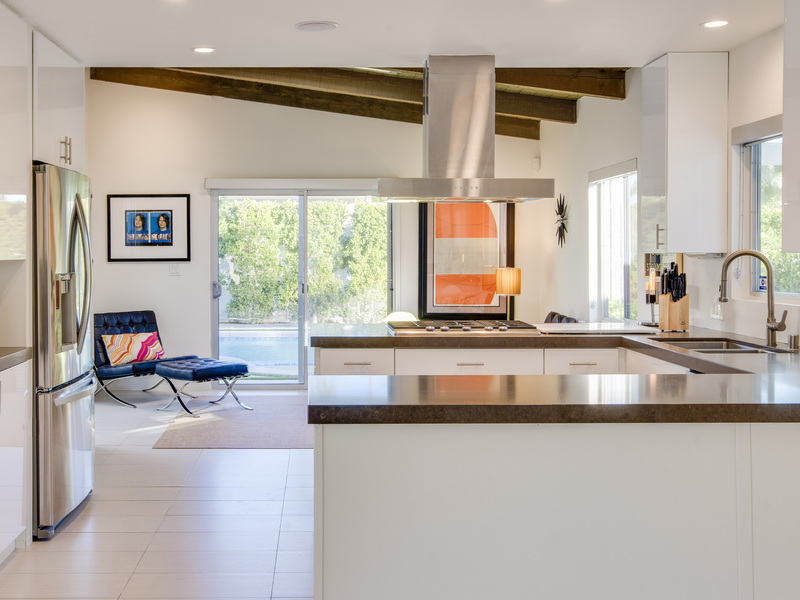 This home really has a great floor plan. 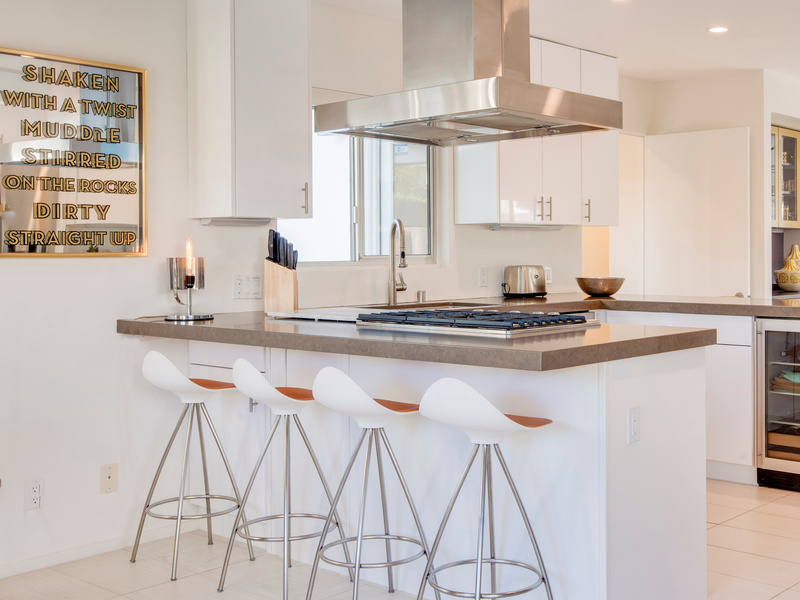 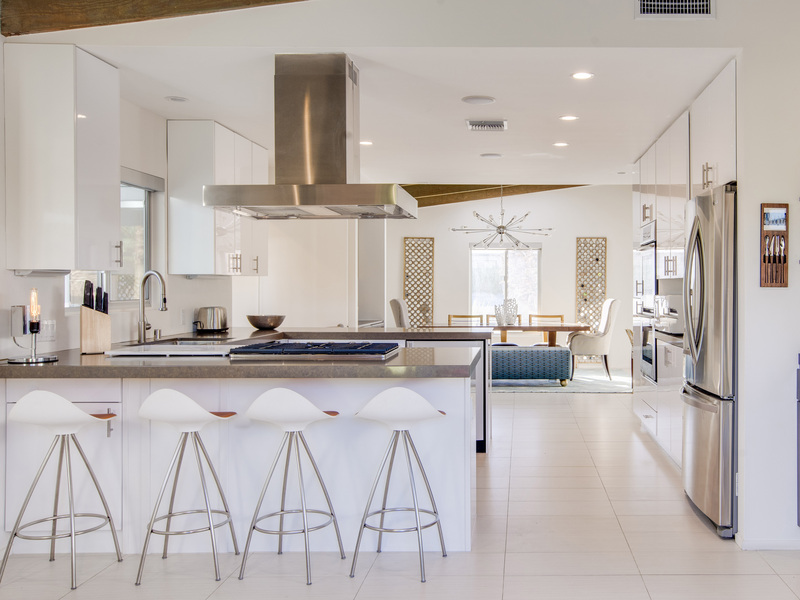 The bright and spacious chef's kitchen is at the center of the house - with the interior dining room to one side (easily accommodates 8 guests) and poolside hangout area with walls of glass to the other. 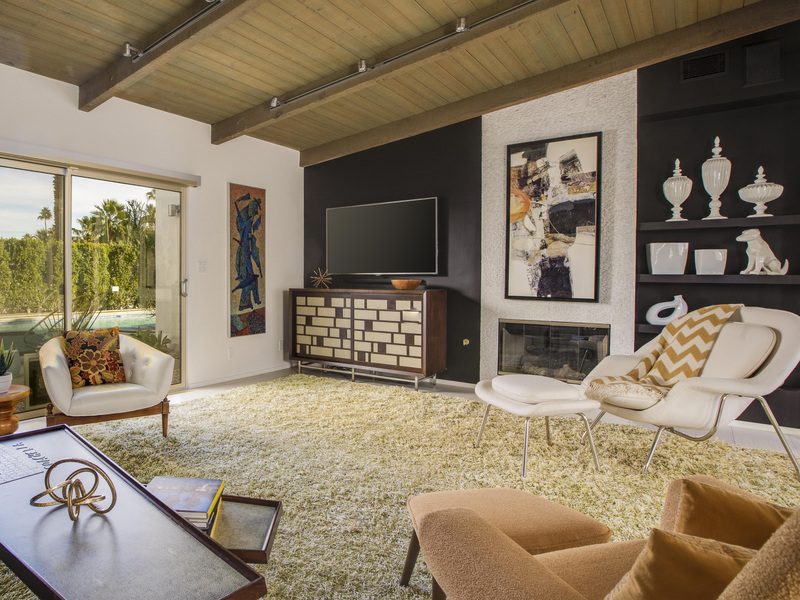 The living room features comfortable seating facing the gas fireplace, a flat screen television that is perfect for streaming your favorite programs, and direct pool access. 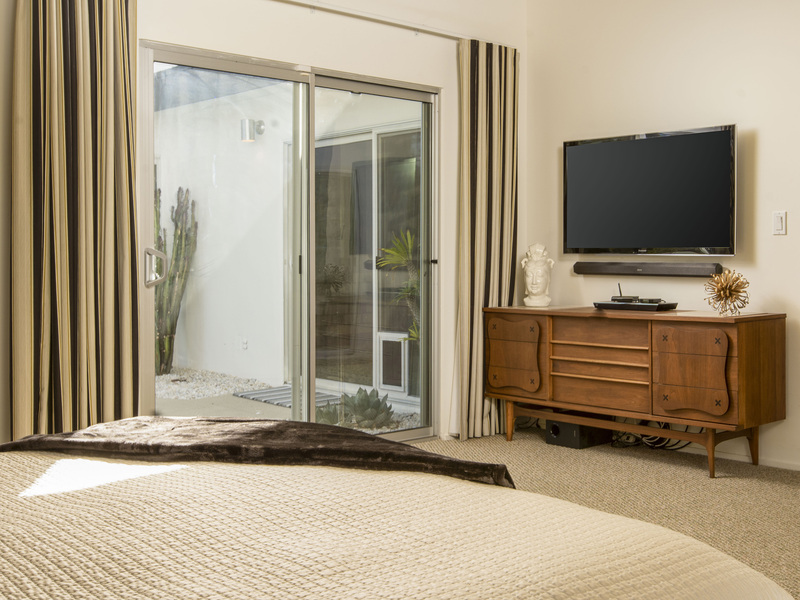 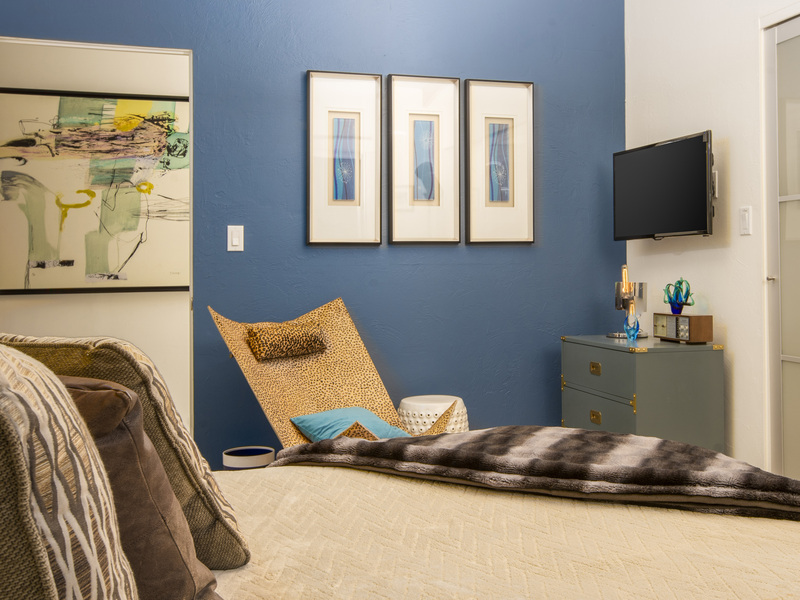 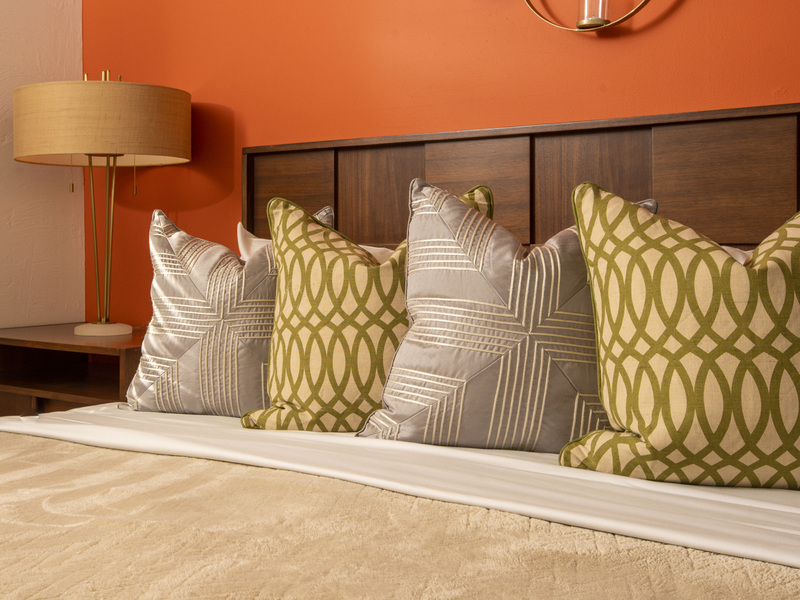 All of the bedrooms feature a comfortable hotel-quality mattress, ample storage, and flatscreen TV. 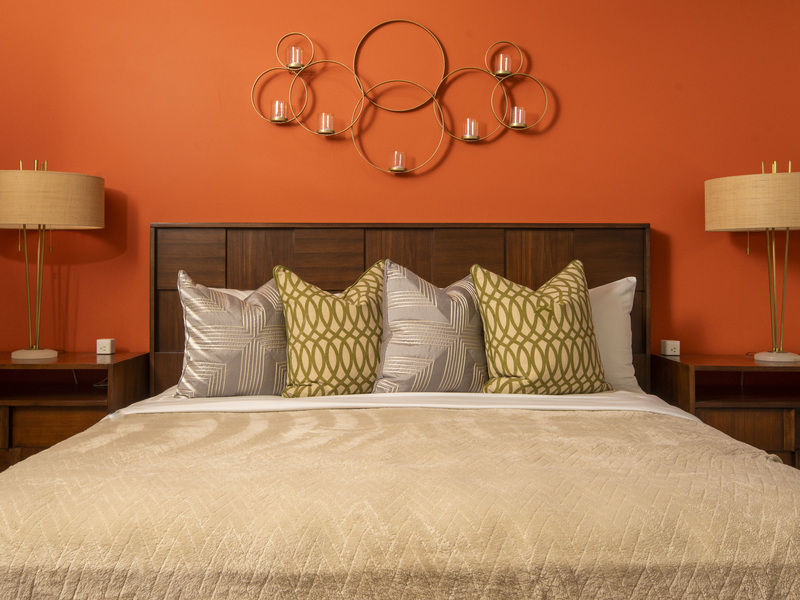 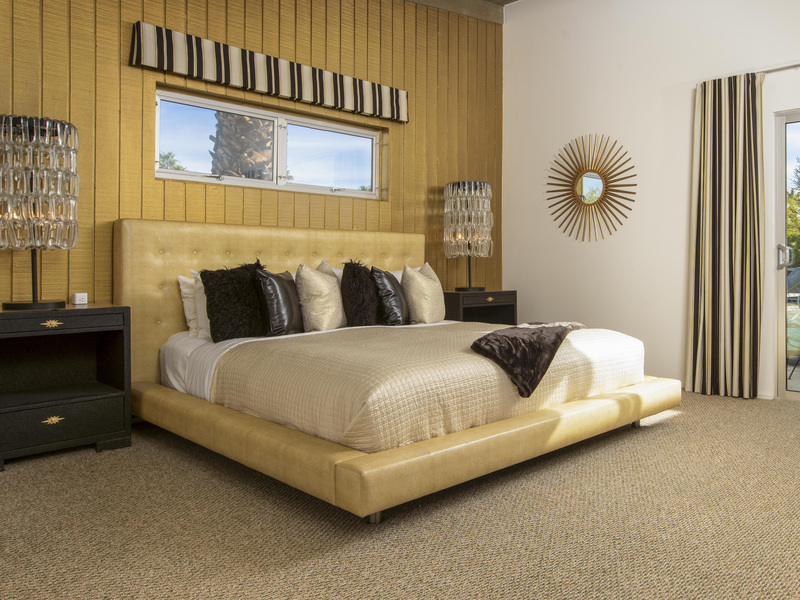 The deluxe Master Suite is gorgeous with its King bed, en suite bath and direct pool access. 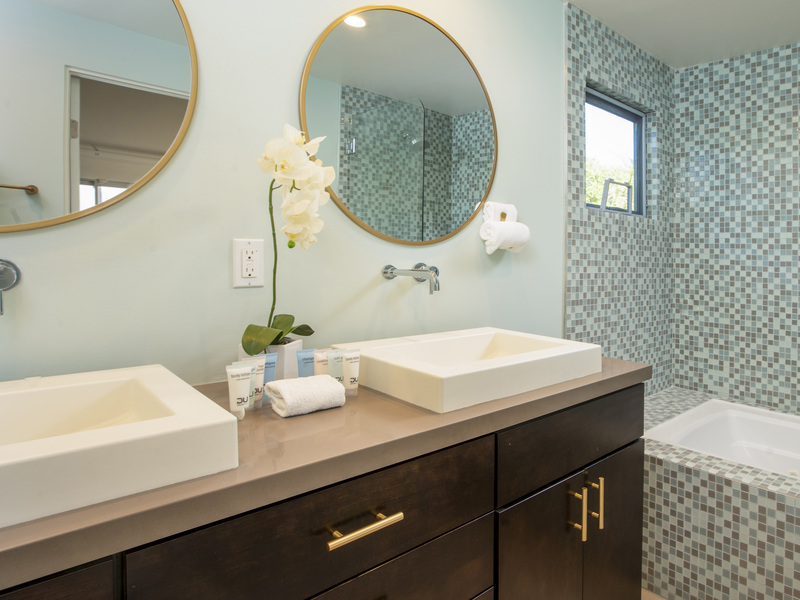 The en suite bath has a soaking tub, dual sinks and stunning tilework. 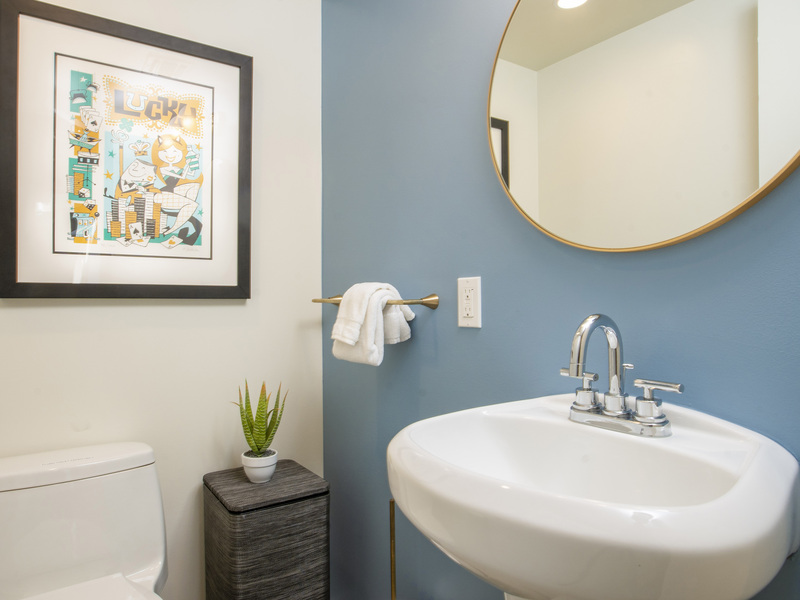 There is a King Guest Room and Full Guest Room that share easy access to the hall bathroom as well as an extra half bathroom. 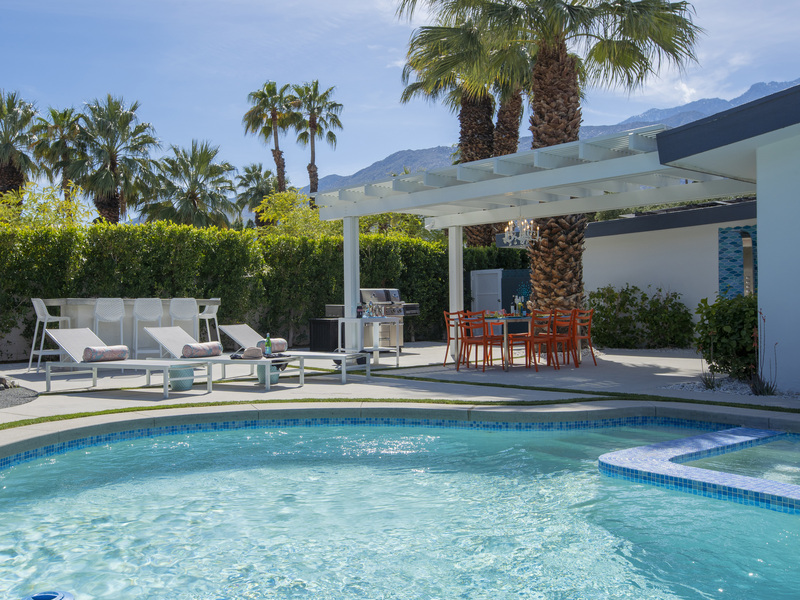 Driving is completely optional while staying here. 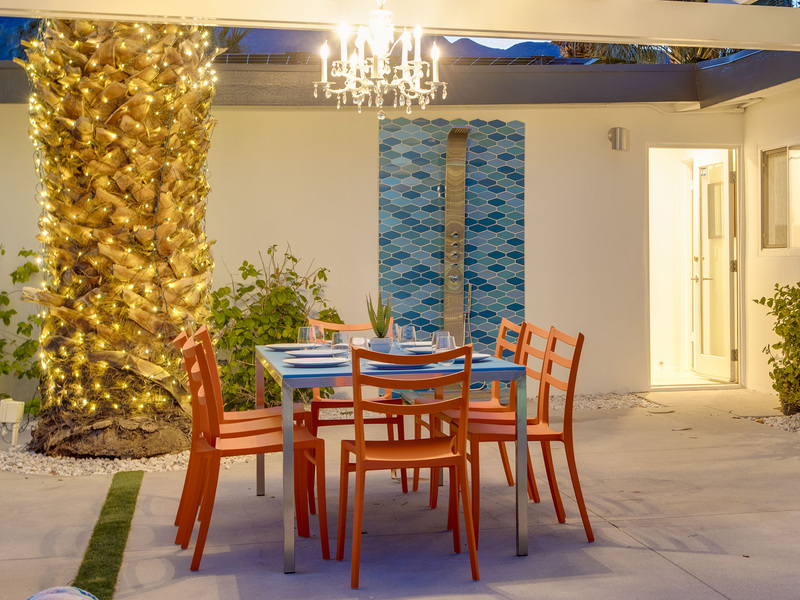 Located on a quiet no-outlet residential no-outlet street in the upscaleEl Mirador Neighborhood. 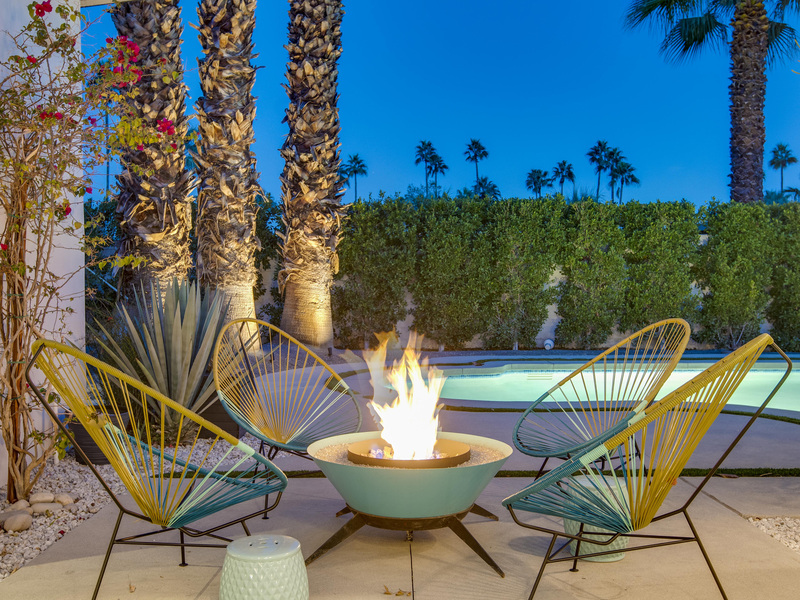 You'll be less than a mile to Ruth Hardy Park, the Convention Center, and the world famous Palm Canyon Drive as it passes through the Uptown Design District with its galleries, boutiques, fine dining restaurants, casual eateries and coffee spots. 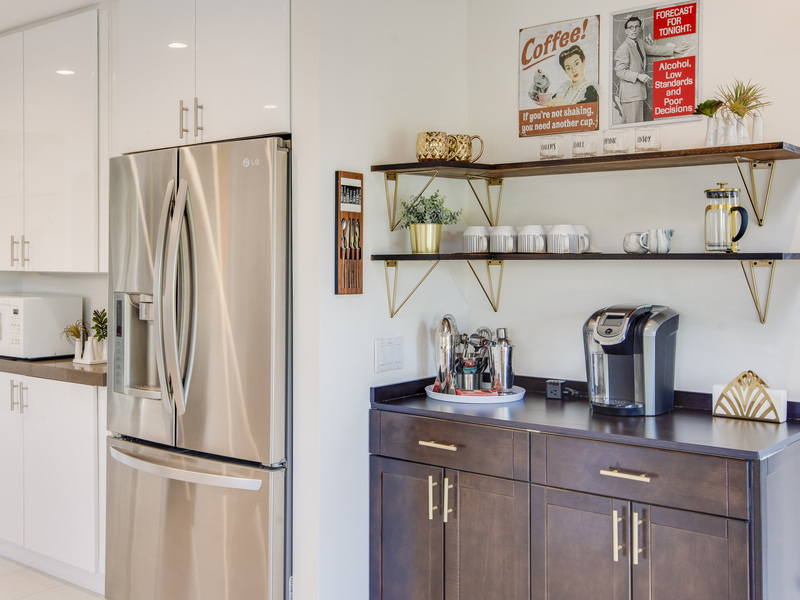 Two full-service shopping centers with grocery stores and other neighborhood conveniences are just a few blocks away.